Six major extinction events are chronicled in Earth’s geologic history. These events have occurred over the past 450 million years and typically span periods of tens of thousands of years. We are currently living through the Sixth Great Extinction. Never before has a major extinction event been caused by a single species, but this one is driven almost exclusively by human actions. The Endangered Species Recipe Book, considers ways to view our ecological moment in the context of our historic interactions with the natural world. This project aims to utilize images, objects and text, found across the branches of history, science, art, and cultural studies at the National Archives, that relate to the cooking and preparation of species now endangered or extinct. This work is dedicated to the naturalist E.O. Wilson, who believes that by the end of this century—in our lifetimes, we will lose half of all plants, animals and birds on our planet, if our current rate of ecological destruction continues. I think this painting was beautifully done. 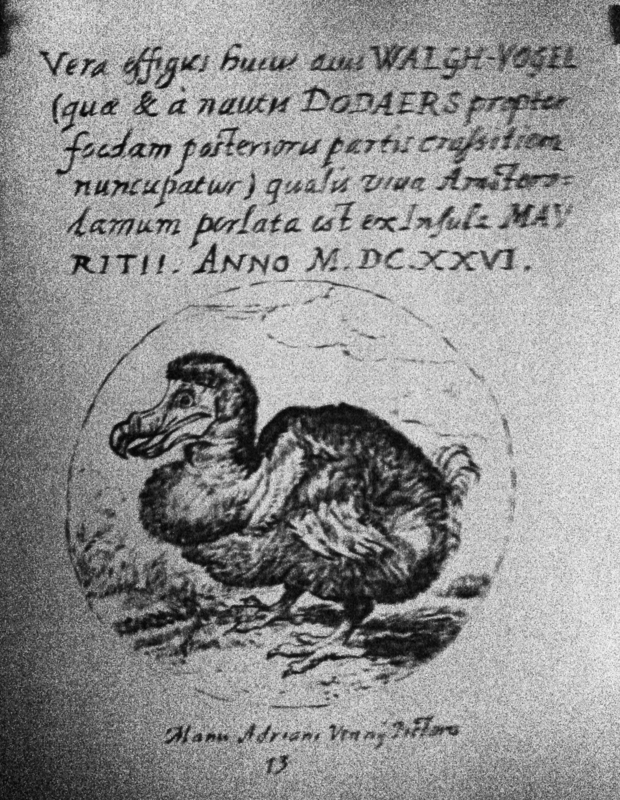 It made me wonder what animals were listed in the recipe book before the dodo bird. It also made me sad to think about which animals could be next; perhaps it could be humans that could be in this book’s final page. Hi anditori, there are more recipes up on the blog! Check them out.